Faccoli is one of the many sparkling wine producers in Franciacorta . The founder was Lorenzo Faccoli who in 1964 acquired land on the hills of Mount Orfano, in Coccaglio. At this point in time Franciacorta was in its infancy as a wine region. That year Lorenzo obtained 12 hectoliters of wine from grapes of an existing vineyard, making wine on his own and sold by measure. Soon he realized he wanted to do more so he arranged the terraces and planted vineyards of chardonnay and pinot blanc, according to the recommendations of the new registered designation of Franciacorta origin. Already in 1970 he bottled part of his own wine and in 1979 he produced 300 hectoliters from his own wine and grapes. In 1983 a lot changed for the Faccoli house, the sons Mario and Claudio stepped into the business. The decision was made to make sparkling wine the focus. In 1989 the production was 45 000 bottles (15 000 still and 30 000 sparkling) but the company still struggled as returns were too low. They also made the decision to manage the sales themselves and to focus even more on bubbles. 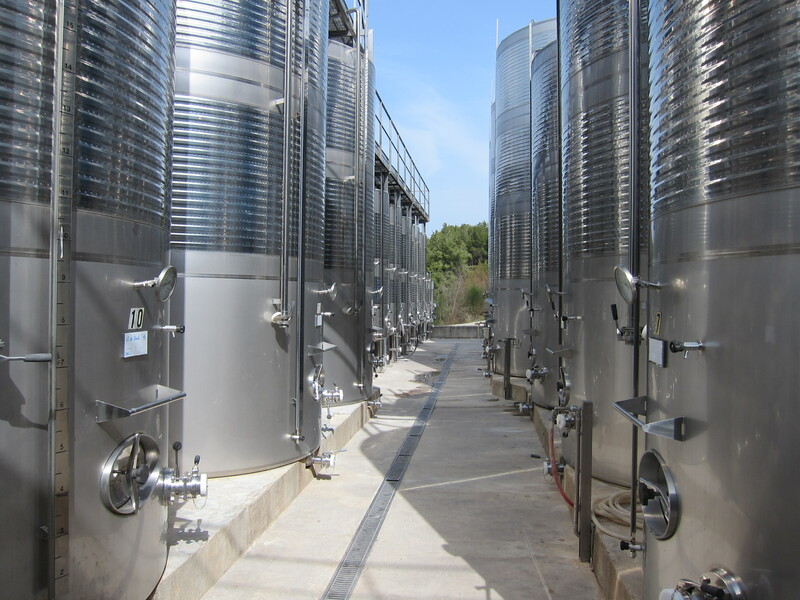 To facilitate the growth they invested in an expansion of the cellar and added a higher end vintage cuvee to the selection, the Vintage 10 Anni. In 1990, they uprooted the old red vines of Cabernet Merlot Barbera and Nebbiolo and reduced the production of still wine to 10.000 bottles of white wine. In 2000 they stopped producing still wine and made the sparkling the only focus of the company. Today the company produces over 50 000 bottles of sparkling wine and have added several cuvées to the selection, today these are: Rosè brut, Extra Brut, Brut, Dosage Zero and Vintage 10 Anni. The Facolli Franciacorta Extra Brut was the one I sampled (at Monvinic). It is grown on the hills of Mount Orfano and it is a blend of 70 % Chardonnay, 25% Pinot Blanc and 5 % Pinot Noir. Facolli uses the méthode champenoise for producing their sparkling wine. No surprise as they are in Franciacorta , the only Italian sparkling wine appellation that must be made by méthode champenoise. This specific cuvee has been aged 21 months on the lees. 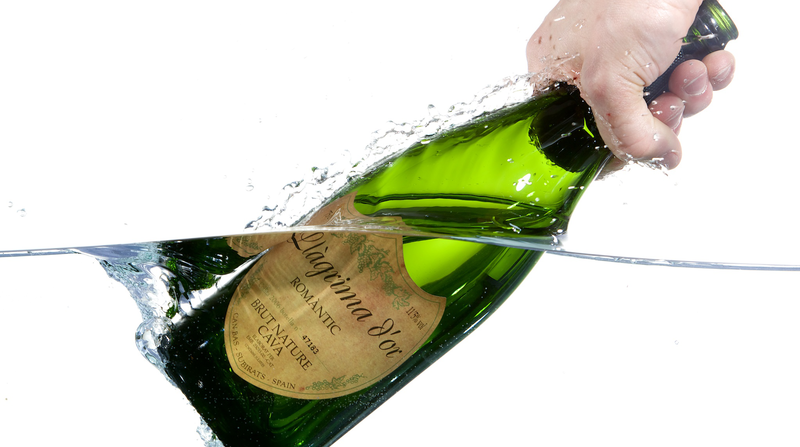 The extra brut has minimal extra dosage and is very low in residual sugar (2.5g/l). The color is pale yellow with fine bubbles. The aroma has nice brioche and bread notes as well as yeast and hints of mineral. On the palate it is very clean, bright with mineral and citrus. 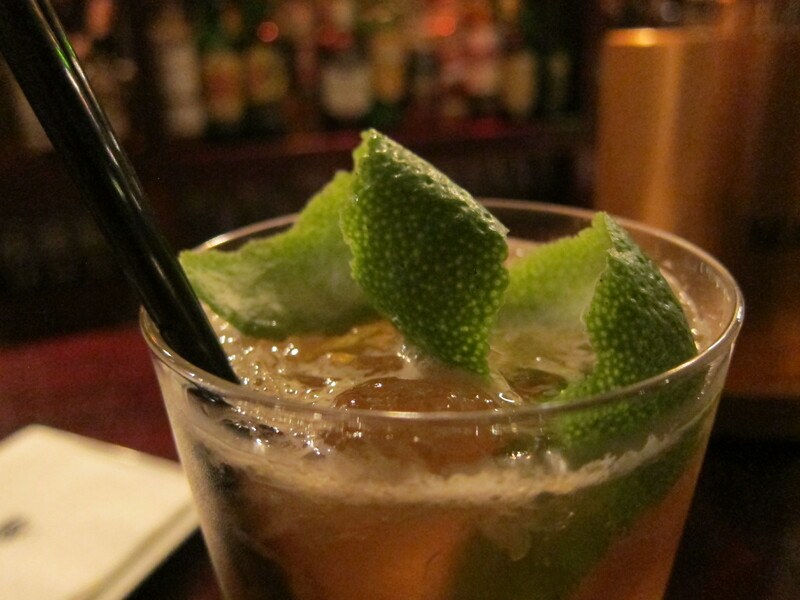 It works excellent on its own, as an aperitif, but also with some lighter food. As I did not have much expectations on it, I felt pleasantly surprised. Looking at quality I would rate it as a 3 (S was pretty fond of it, so she might say its a 4). It is nice but would perhaps not go out of my way to find it. It can be found online (mainly from Italian wine shops) for €13 to €20. In the lower end of that segment it is good value for money (a rating of 3.5). So it is once again Monday. Being back in Sweden during the perhaps worst period of the year when it is grey, chilly, damp and often a mix of rain and snow makes me think back fondly of my visit to Bangkok. Therefore it is fitting to bring up one of the highlights of the visit there. I had heard a lot of good things about Roots before heading there so I was a little bit fearing disappointment, you know that feeling when you think can it really be that good. Roots is one of the pioneers of specialty coffee in Bangkok and it was started by Varatt “Tae” Vichit-Vadakan, also Thai Barista Champion and he together with the others involved in Roots, run the restaurant Roast. Roots is located at Ekkamai Terrace #2-4 (at Sukhumvit Soi 63 between Ekkamai Soi 15 and 17). It is not a super convenient location with Skytrain but still, sort of, walkable from Ekkamai station (around 15-20 minutes) but a taxi is recommended. More of an issue than the location is however the opening hours, only weekends from 12 to 6pm. The rest of the time the space is used for trainings and work shops so it can tend to get packed with people. People do however come here for a good reason. The coffee served here is by any measure fantastic. It is number one in Bangkok and to me they also beats the competition in Kuala Lumpur, Singapore and Tokyo and they are definitely at par with the better places in Europe and the US. The scene for coffee in Bangkok is really booming and while Roots lead the pack there are numerous others that do great things as well. The consistent quality and the great roasting is however what in my mind gives Roots the edge. There is a rotating selection of coffee available and usually there are three to four different beans to choose from for the filter coffees and then two for espresso based coffees. The selection rotates roughly every 6 weeks so come back to find new things. For the filter coffees it is also possible to select the method (V60, aeropress etc) but they also make a recommendation for each different coffee and based on my experience it is fine to just trust them. Every single cup I have had here has been great or excellent. The execution as well as the roasting really impresses and it does not seem to matter that much who is making the coffee. The cold brews, in bottles, are also great. Especially in the hot Bangkok weather. The training of the staff seem to be an area of focus at Roots (and Roast). From what I understood from one of the girls working there, all the baristas go through a 3-month training before, if passing, becoming a full-time employee. It is however not as if it stops there as they then provide continuous training to let people develop more. Tae believes that the people are crucial to making good coffee so in his work to provide the best coffee he has realized that it does not matter if he sources excellent coffee, roasts it to perfection if the people serving it are not as good. So trying to retain people by allowing them to develop, learn and have a career path is a way to serve good coffee. The strategy seems to work as the coffee is just awesome. What is then even more surprising is the pricing model. There is no price list but rather one pays what one feels it is worth. They have an honesty box and it is up to people to put as much (or little) as they want there when they leave. It does seem to work well though as most people are amazed by the quality. There is not a full kitchen at Roots but there are delicious pastries available. These are baked on site so just sitting there they bring out new and freshly baked pastries and I do at least find it difficult not to overindulge. The pastries are also great, some of the better I had in Bangkok and these also follow the same honesty pricing system. Since the place tends to get a bit crowded I do not really feel comfortable sitting around for too long but the place looks nice and it is pleasant to sit and sip the coffee. There is no free wifi or such but this is not the place to come and work or study – the focus here is on great coffee (and pastries) so I am not really bothered by it. I also like the fact that it is clear that the space is not only a café but that they also roast, bake and hold courses here. It does give the space a different feel to many other over-designed cafés. Service is extremely knowledgeable, very friendly and it is clear that people like talking about coffee and they are happy to answer any questions you may have. My only regret is that I do not have such a place anywhere near where I live. Today is kind of our day off, but I am very excited to share something with you! We have been discussing a look and a logo for a while, and finally we got it done. M ended our procrastination by finding a great solution, Pastelrainbow at Fiverr.com. They whipped up a logo for us within 24h and it cost us only around 30USD. Best of all, WE LOVE IT! Now we will head out for some wine to celebrate the achievement. 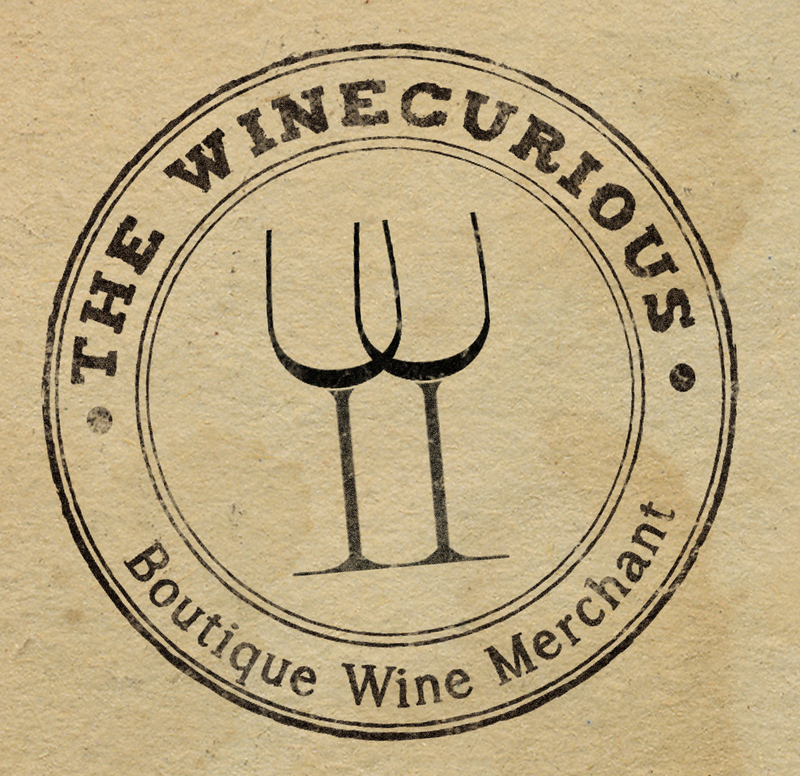 A small step for winekind, but a giant step for the Winecurious. Have a great Saturday! With all the fuss going on about Cava, thought that I forgot about Cocktail Thursdays did you? No I did not and this Thursday I have a real treat for you! A trip down memory lane (M proposed right after a visit to this bar) and a sure stop every time we visit Barcelona. 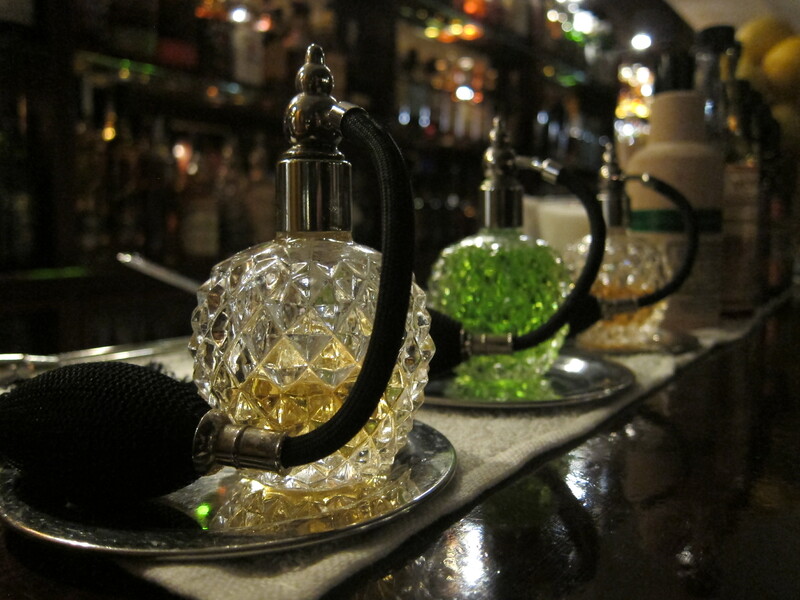 Tandem is a small cocktail bar located on Carrer de Aribau in laid back L’Eixample. The outside of the bar does not really give away anything. You can see it’s a bar, and that they seem to serve cocktails (the logo is two guys riding a tandem carrying a cocktail tray), but you need to open to door and go in to get the real picture. When you step in you enter a space that could be from the 60’s. 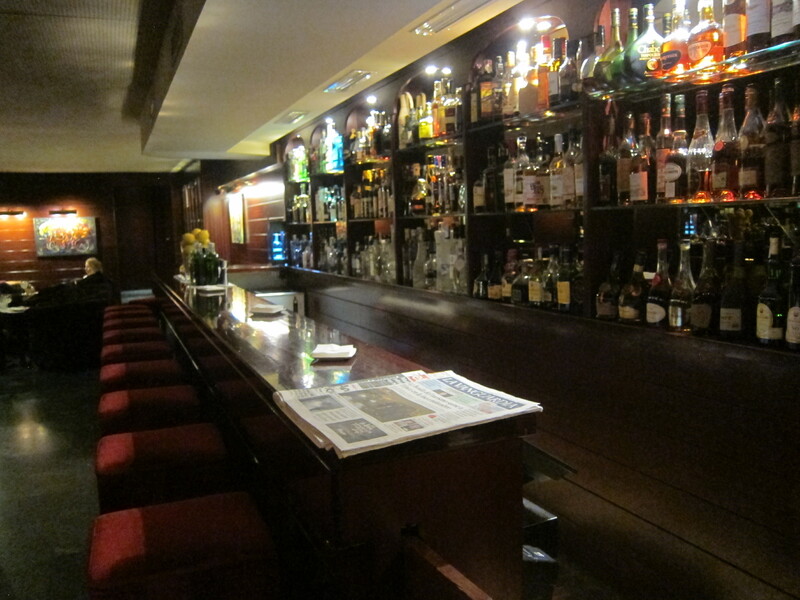 Long mahogany bar with high chairs, the wall framed with mirrors and the back of the bar decorated with bottles of spirits. The lighting is dim but not dark and they play some old music (at a low volume). The bartenders are dressed up accordingly in white suits and they are very polite, and I mean old school polite with a big P. You can almost see Don Draper (Mad Men) sitting there with his whisky. It was Mrs Gin and Mr Rum on the move again that night, keeping within our cocktail comfort zone. I ordered something fresh and sour, and M something close to a Dark and Stormy. The bartender made the call on the ingredients. We ended up with two long cocktails, mine with cucumber, citrus fruit, basil and some soda water, and M’s with lime, soda and coke. Simple ingredients, but great taste. The spirits used were smooth with no bitterness whatsoever transferring into the drink. Both cocktails set us back only 9€ each, so I would say that is a bargain. 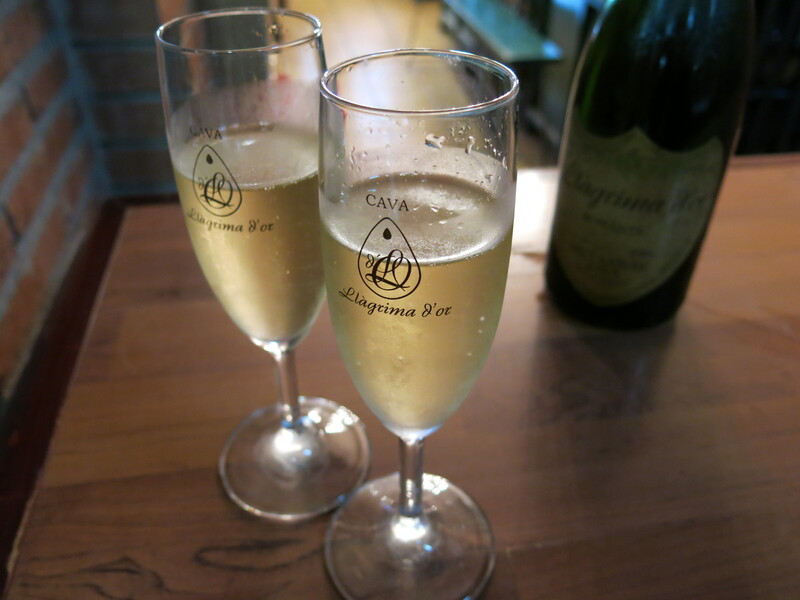 I have previously also had some Cava here, and I recall the house sparkling being of acceptable quality. All in all a wonderful bar, never empty but never too busy to turn us around at the door. It’s something of a special place to me and I hope you enjoy it too if you have a chance to visit. Onna cafe is one of the few outposts on the speciality coffee scene in Barcelona. In Spain and Catalunya, as in many southern European countries the coffee quality is horrendous (low quality beans, usually a lot of robusta). Among the average consumer there is no willingness to pay more than something like €1-1.5 for a cup and that of course makes it difficult to deliver high quality coffee. The lack of quality coffee has often been one of my main dislikes about Barcelona but something is really changing here. There are a few places that are doing a pretty decent job of it. Onna is one of them but on the list is also the ‘veteran of the bunch’ Satan’s coffee corner, Nomad Coffee, True Artisan Cafe and Skye Coffee. Most of these will be reviewed in coming coffee Monday posts. Back to Onna though, it is in the fancy neighborhood of Grácia. On a small backstreet and I would not just have stumbled upon on it but I am glad I went looking for it. The place is not big and it has been packed with people on my visits. They do however somehow manage to keep the service fairly quick, and it is usually possible to find a table or seat somewhere. There is also free wifi so it is possible to sit and slack here for a longer time but be prepared that it will be full. The staff are very friendly and are passionate about coffee in general and Costa Rican coffee specifically. All the coffee served is from Costa Rica as are the staff and owners. It is a nice concept and while I do not want to have Costa Rican coffee everyday it is a nice niche. They offer well-executed espresso based beverages. They are not world class but very good and looking at the competition in Barcelona they are awesome. The filter coffee selection varies between two to four different Costa Rican coffees and it is also possible to select the method. I would recommend the Aeropress as it has been the best cups I have had there. The V60 is in general more tricky and quality varies more but even when on the V60 it has mostly been very good here. They source their coffee directly from Costa Rica and they also roast it themselves. There is a nice selection of pastries, light dishes and sandwiches. Food is decent but to be frank I do not come here for the food (it is not bad but I have other places I rather go to in Barcelona for food) so would stick to coffee and some pastries here.